Oleander is a very poisonous plant. The risk of fire is a serious threat to your family's safety and security. You should have a working smoke detector installed on every floor of your home, even if local bylaws do not require you to do so. Make a note on your calendar to change the batteries once a year and test the unit at regular intervals.Discuss a plan for getting out of the house quickly if a fire breaks out. Teach your children that their priority should be getting to safety and not stopping to retrieve any personal items. Practice crawling on your hands and knees (to avoid inhaling smoke). Arrange to meet at a specific location, such as a neighbor's home, if you need to get out of the house in a hurry. A fire extinguisher is a good investment when it comes to dealing with this example of home safety hazards. Your local fire department will be able to tell you which model is the right one for your needs. Installing a carbon monoxide detector is another way you can help to keep your family safe around the house. This unit should be tested regularly and replaced promptly if you have concerns about it. Likewise, make an appointment to have your furnace inspected and cleaned once a year. Storing cleaning products, paints and other poisonous substances in a location out of reach of children and pets is a good idea. It may be a bit inconvenient to stop and unlock the cabinet when you want to access them, but the effort is worth it to keep your family safe. If you know or suspect that your child or pet has swallowed something poisonous, contact the Poison Control Center for help immediately. The label on the container will provide you with valuable information about the ingredients it contains, as well as first aid instructions. Household plants can also be a hazard. Some of them, such as the dieffenbachia, oleander trees, calla lilies, and poinsettias, may cause painful mouth irritations if the leaves are ingested. 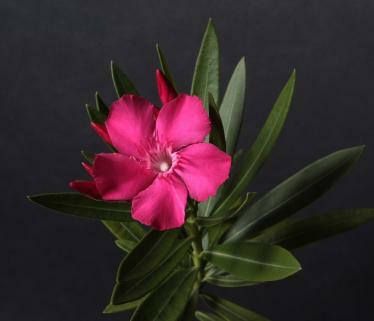 The oleander is especially toxic, since chewing one leaf can be fatal for a young child or a pet. Many materials around the house present choking hazards to children, and you need to be on the lookout for them. Toys with small pieces can be a hazard, and buttons or snaps may come off clothing items and be swallowed by young children. Coins should be kept out of each of children. Making a point of sitting down and chewing food thoroughly goes a long way toward decreasing the risk that you will choke during a meal. Young children should be encouraged to adopt this practice as well. Teach them that mealtime is for eating, and they shouldn't be trying to play, laugh, or talk while trying to chew.